Brooks of Hickory Hollow Community Association, Inc. 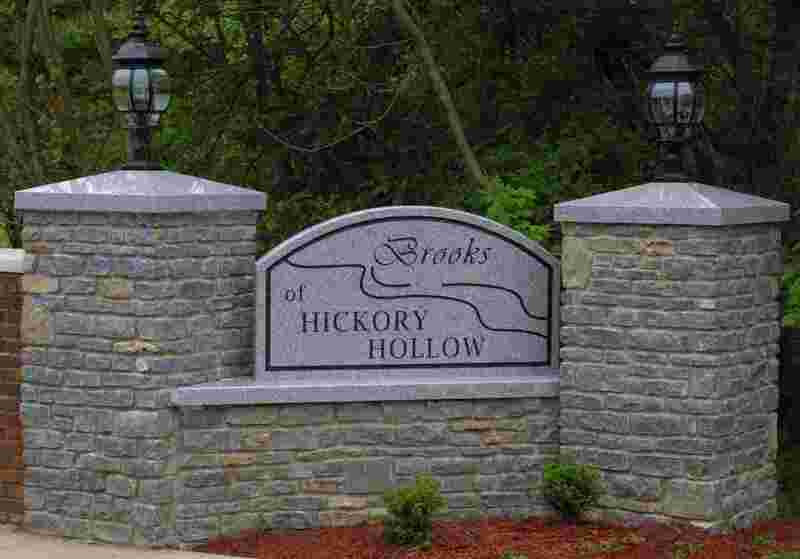 WELCOME TO THE BROOKS OF HICKORY HOLLOW! Trash Collection: We have community wide trash collection through Republic Services/Industrial Disposal (ID). Our special reduced rate includes 1 or 2 FREE 65 gallon or 90 gallon carts. Recycling and yard waste are available for an extra charge. To arrange for trash collection, you must call ID at 638-9000. Just refer to the agreement between ID and the Brooks of Hickory Hollow to get these special rates. ID will bill you directly. NOTE: Please put the trash carts on the side of driveway that is away from your mailbox so the truck’s automatic lift has room to operate. Annual Dues: Everyone in the community is required to pay annual dues. There is a discount for paying early. The dues cover our fiscal year of April 1 to March 31 each year. You will receive an invoice in early March and the dues must be paid no later than April 30. The annual dues pay for our operating expenses that include the street lights, the entrance sign/light maintenance, website, mailing expenses, dues collections, etc. See Details HERE. ANNUAL MEETING: This is usually held in the Fall to review the budget, discuss issues/suggestions and elect members to the board of directors for expiring terms. in your driveway or garage. - No boats, trailers, campers, motor homes, tractor trailers, etc. are allowed unless they are kept in an enclosed garage. from the street. Let the installer know the community has these restrictions so he will put it in the proper location. noted as of November 1, 2008 may keep them until they need repair/replacement or December 31, 2015 - whichever comes first. They may not be replaced with another chain link fence vinyl coated or not. - Lawns and ditches on your property must be cut on a regular basis and kept in a neat and attractive manner. - Pets are not allowed to run free and must be restrained at all times when outside. This includes cats. Please remember to clean up after your pets during neighborhood walks. - Curb appeal means a great deal too prospective home buyers in our subdivision. Nobody wants to live next door to a daily yard sale. PLEASE send us your email address if you would like to get email updates. This list is strictly confidential and not shared with anyone. For further information, please refer to the Declaration of Conditions, Covenants, and Restrictions found on our website.